Do I hear a song coming on? To paraphrase poet W.H. Auden, Thou shalt not read the Bible for its prose—to which I add, Thou shalt not watch a songbook musical for its plot. But that doesn’t mean thou shalt not watch it at all. Songbook musicals were popular at MGM in the 1940s and '50s. They were a surefire way to give audiences what they wanted: entire films crammed with hit songs and dance numbers, loosely mortared together with thin, feel-good biographic plots. Rhapsody in Blue (about George Gershwin), Words and Music (Rogers and Hart), Night and Day (Cole Porter), and even, in its own unique way, Singing in the Rain (duo Arthur Freed and Nacio Herb Brown) are all examples of this unique sub-genre. Deep in My Heart is the story of the more obscure songwriter Sigmund Romberg, with plenty of Hollywood hokum and invented characters thrown in to spice things up between songs. The Plot In Brief: Lavish musical numbers based on his most popular songs incessantly interrupt incidents from the life and career of Romberg (José Ferrer). 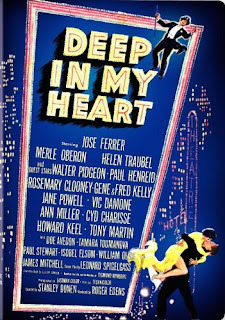 MGM emptied its deep bench of talent for this one, which features cameos by Helen Traubel, Rosemary Clooney, Gene Kelly (and his brother Fred! ), Vic Damone, Jane Powell, Ann Miller, Cyd Charisse (dubbed), Howard Keel (not dubbed—no one else sang like Keel), Tony Martin, and Joan Welden. Stanley Donen directed the film, fresh from his two previous hit musicals Seven Brides For Seven Brothers and Singing in the Rain, which he co-directed with Gene Kelly. 1. Boy, José Ferrer is the total package: he acts, he sings, he dances. Sometimes I think every star at MGM at this time was required to dance for their dinners or their salaries got docked or something. 2. Early on, Ferrer duets with Rosemary Clooney, singing and dancing to the Romberg song “Mr. And Mrs.” In real life, they were really married. I love that. In Singing in the Rain, a doe-eyed female asks Donald O’Connor, Can you really get me into the movies? This ingenue was O’Connor’s real-life wife. 5. The transfer here is revelatory: razor sharp, stable, and eye-popping. Nothing else looks quite like 1950s-era (era) MGM Technicolor. 6. Deep in my Heart features the only on-screen team-up of Gene Kelly and his brother Fred. 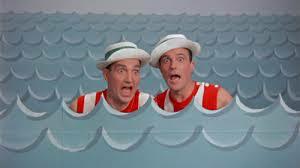 The number —“I Like to Go Swimmin’ with Wimmin’”—is full of athletic, goofy fun. The choreography and even the costumes are reminiscent of Gene Kelly’s earlier “Fit as a Fiddle” duet with Donald O’Connor in Singing in the Rain. 7. Cyd Charisse (sigh). Finally, the MGM hair and makeup department figures out the right way to present Charisse on film to best effect. (I was never a fan of her Astro Boy-meets-Bettie Page hairstyle during the “Broadway Melody” ballet in Singing in the Rain.) Charisse was beautiful and in Deep in My Heart she appears to be seven-foot-three. A former ballet dancer, Charisse always seems on the verge of kicking her dancing partners’ teeth right down their throats. I like that in a girl. 8. Paul Stewart, the creepy butler in Citizen Kane, shows up as a far less creepy character here. 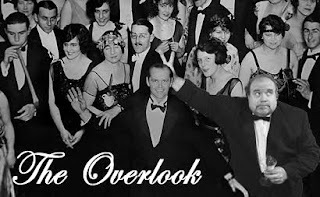 Jim Backus makes an appearance; he is still a year away from playing James Deans father in Rebel Without a Cause, ten years away from playing Thurston Howell III on Gilligan's Island, and had by this time been supplying the voice of Mr. Magoo for a full five years. Walter Pidgeon (Forbidden Planet, Harry in Your Pocket) portrays the famous theatrical impresario J.J. Schubert. 9. 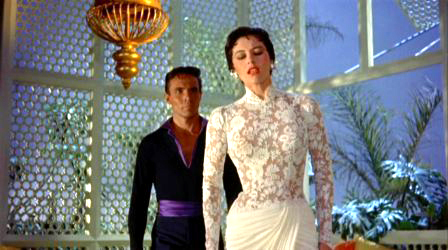 Have I mentioned Cyd Charisse is in this? 10. The film deals with Stromberg’s long career and continually makes the point that the popular shows Stromberg did NOT want to write were the HITS, while the pet projects that he fought for were (largely) the FLOPS. This lends a nice “meta-layer” to this MGM musical, which is itself a piece of popular, musical entertainment trying to be a hit. NOTE: Deep in My Heart was a modest hit, restoring perfect karmic balance to the universe. I am really glad we have films like this, babies—they exist not only as offerings unto themselves, but as fascinating archival relics of the dancing, music, popular culture, studios, and so much more that was foundational to modern movies. On a related note, I would like to add, in the spirit of the upcoming holiday, that I am thankful for many things. I am thankful for the special people in my life who largely succeed in putting up with me: my wife, son, and extended family. I am thankful that I am now 309 teaching days away from retirement. I am thankful for the entire F This Movie! community, which continues to amaze, amuse, and puzzle me on a regular basis. Thank you all. Oo this sounds like a treat. I need to see more films with some of these stars like Anne Miller. I might go have a dive back into the MGM musicals!